On the bookcases in my study, I have three shelves of books on the Adirondacks. The bulk of the volumes came from the library of Barney Fowler. Barney was the author of three volumes of the Adirondack Album compilation and a columnist at the Times Union. It was my good fortune that Barney, in all his big-hearted gruffness, took this cub reporter under his tutelage when I joined the paper in 1984. Barney taught me that a storyteller could find a deep well of colorful characters and authentic places to write about within the Blue Line. He introduced me around and pointed me in directions that allowed me to produce a cavalcade of North Country pieces. After Barney died in 1986, his wife gave me several boxes of his Adirondack books. After 20 years, I’m still working my way through them. I’ve read many in full and roamed around in most of the rest while doing research. Over the years, I’ve bought a few dozen more myself to add to my collection of guidebooks, histories, biographies, memoirs and photography books on the Adirondacks. All this time, there was a gap in the collection. What was missing was a slim, readable, richly illustrated book on the region’s natural history. 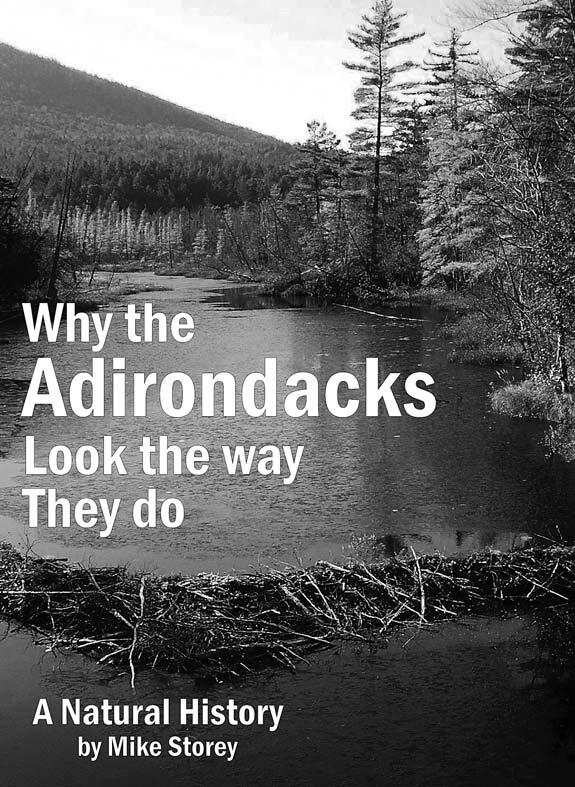 Enter Mike Storey and his new book, Why the Adirondacks Look the Way They Do, which is the printed equivalent of a leisurely ramble across the Park with a skilled naturalist. What makes him a genial guide is that he dispenses knowledge in plain language, without the hubris of a know-it-all or the puffed-up pedantry of an academic. 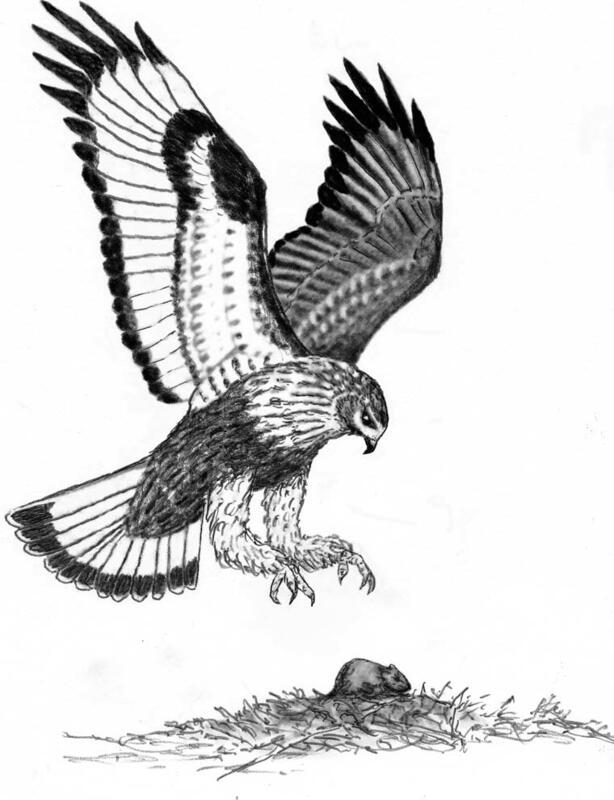 He’s also a fine illustrator who makes lovely sketches of the flora and fauna found in the Park. 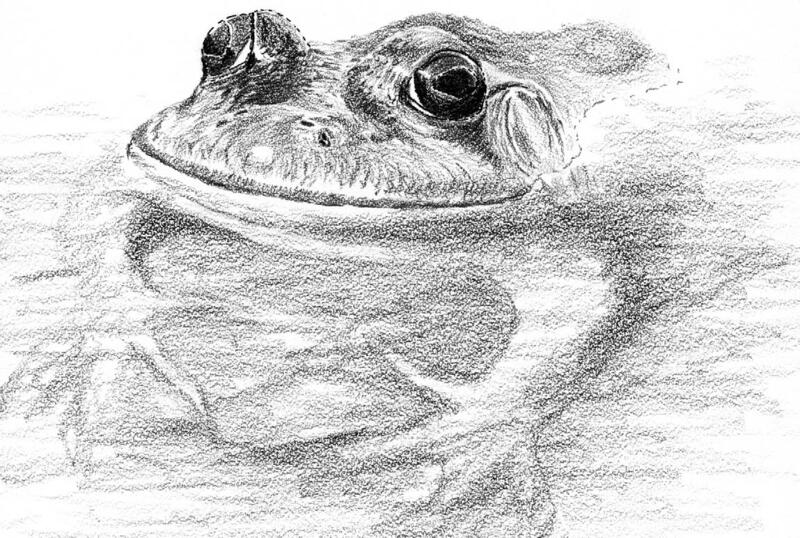 The book contains dozens of his drawings and photographs. Storey, who lives in Saranac Lake and published the book himself, brings solid credentials to the task. He holds bachelor’s and master’s degrees from the SUNY College of Environmental Science and Forestry at Syracuse University. 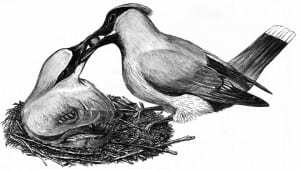 He worked in Yellowstone, the Grand Canyon and the Everglades as a National Park Service naturalist. 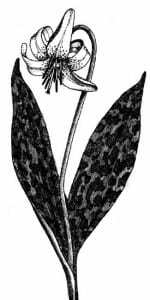 He retired in 2001 as chief naturalist for the Adirondack Park Agency. He spent 24 years with the APA, much of it at the Visitor Interpretive Centers at Paul Smiths and Newcomb, which he helped to develop. 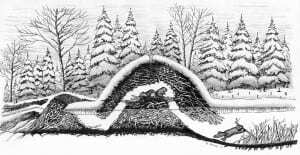 He is also a free-lance photographer and illustrator who has contributed regularly to the Adirondack Explorer. 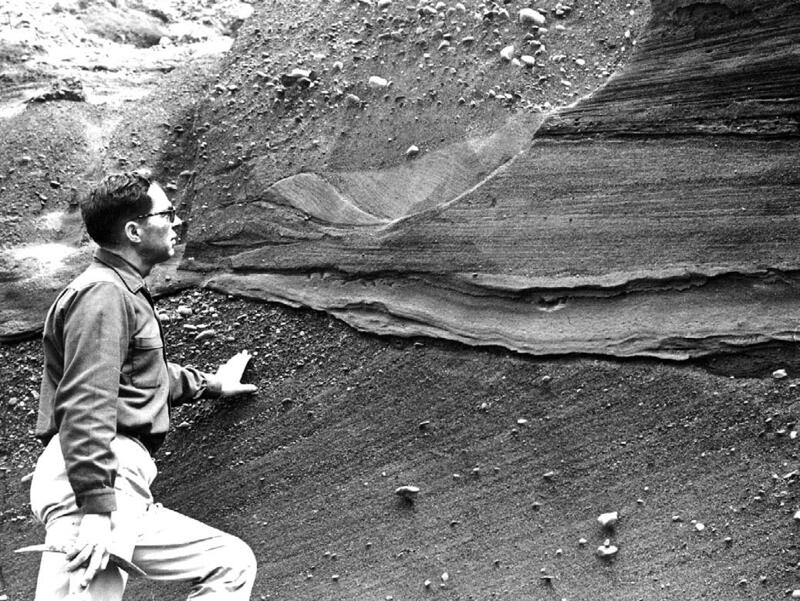 Glaciers deposited sand and gravel in Adirondack valleys. 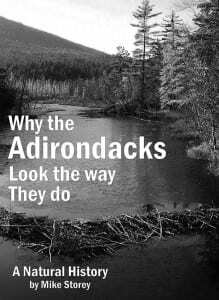 In his introduction, Storey explains that the book began with the question that he heard most often from visitors during his many years as a naturalist at the Visitor Interpretive Centers: Why do the Adirondacks look the way they do? The text is full of astonishing nuggets of information. For as long as I can remember, I’ve seen the black lines along Adirondack beaches without giving it any thought. 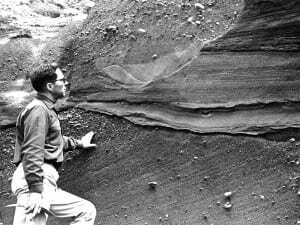 Storey tells us the lines are magnetite sand grains, which settle out through wave action, leaving a dark residue. Another new one on me was “springtails.” Storey writes: “Springtails are tiny pepper-size soil insects that normally remain hidden, but on warm late winter days, they come to the snow surface and hop around using their abdominal ‘spring,’ hence the name snow flea.” If somebody had told me about snow fleas, I would have suspected he or she was relating a North Country tall tale. Now I’ll look for them when I’m cross-country skiing on a warm day. 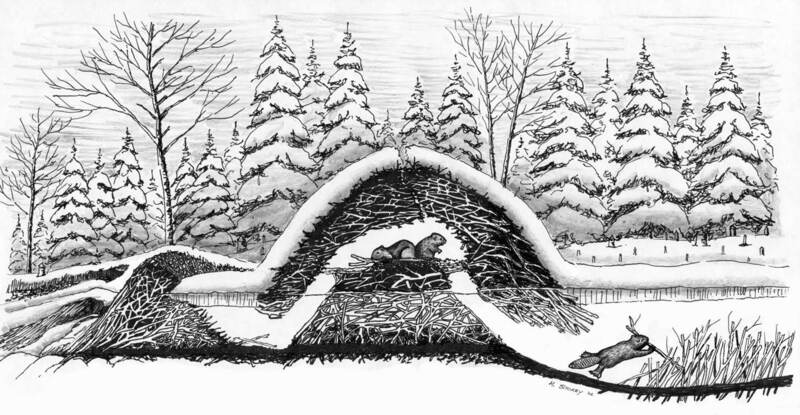 Cross section of a beaver lodge in winter. One criticism of the book is that too much space is devoted to geology, the Ice Age and ancient forests. I would have liked more discussion of the region’s animals and plants (although, as mentioned, the book has many exquisite drawings of both). Overall, this is a delightful book. After reading it, I decided that I would like to meet the author in either of two circumstances: As my guide on a backpacking trip or as a teammate in a game of North Country Trivial Pursuit. For these reasons and more, Mike Storey’s book deserves a place on your Adirondack bookshelf shelf.